We enjoy Geocaching, high-tech treasure hunting using GPS technology. 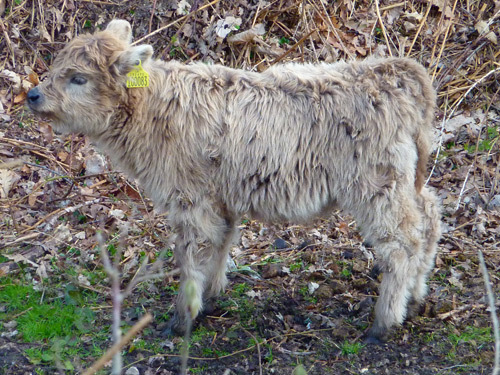 For more information on Geocaching have a look at the Geocaching website. 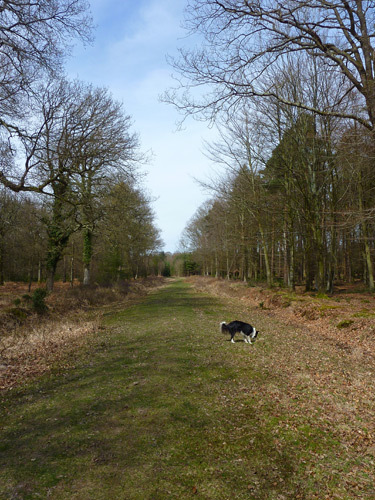 A very quick walk first thing before the main walk of the day geocaching. 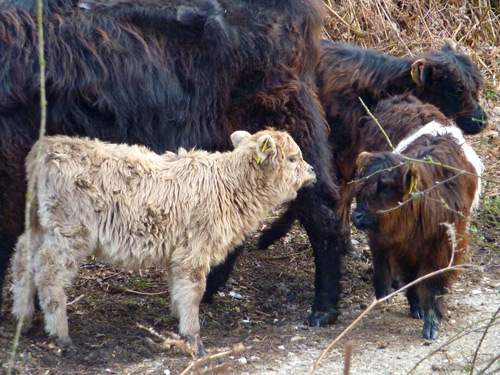 I spot these little calves, two Galloways and one Belted Galloway – the one with the white stripe. The little grey one is just dinkum. 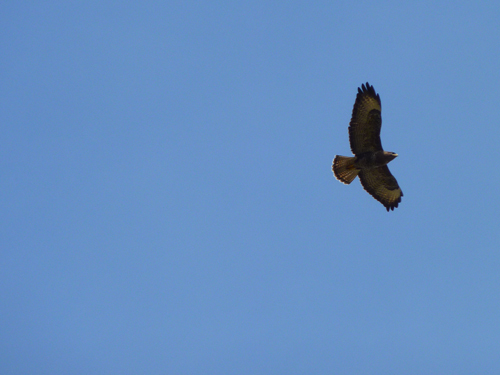 A buzzard hunts overhead against the clear blue sky. Geocaching! 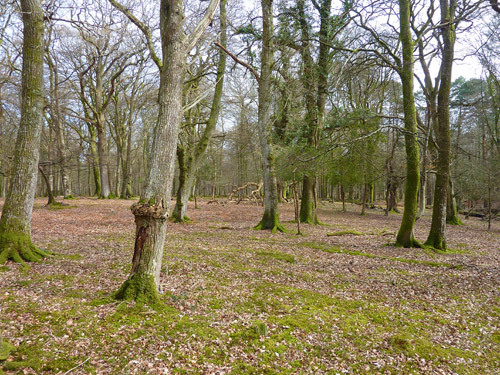 We park at Woods Corner just outside Burley with the plan to do two Geocaches today. 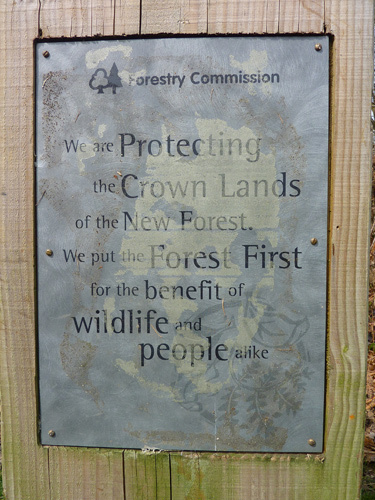 This commitment from the Forestry Commission is marked all over the Forest. 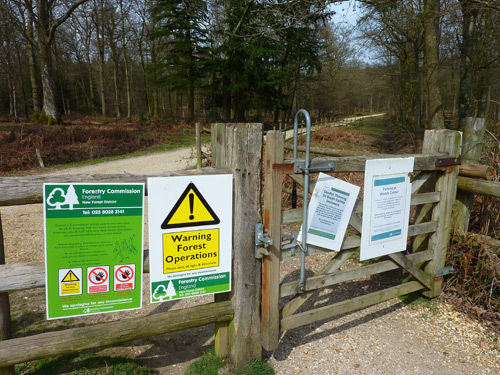 Other signs all over the gate into South Oakley Inclosure – warnings that the Forestry Commission are tree felling here. Following our GPS for the first cache clue, we set off down one of the rides. 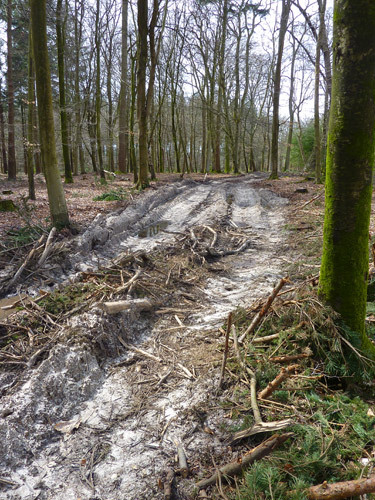 The inclosures usually have gravel main paths through them, the grassy ways are known as rides. Harry noses around for interesting scents. 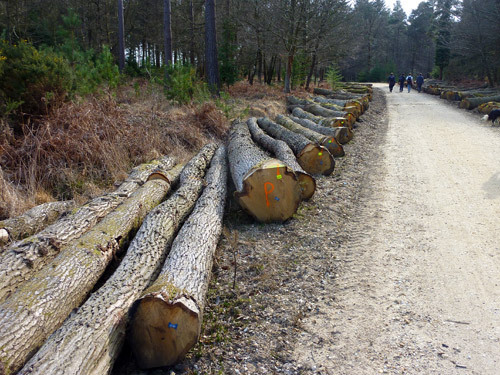 Evidence of the forest operations. 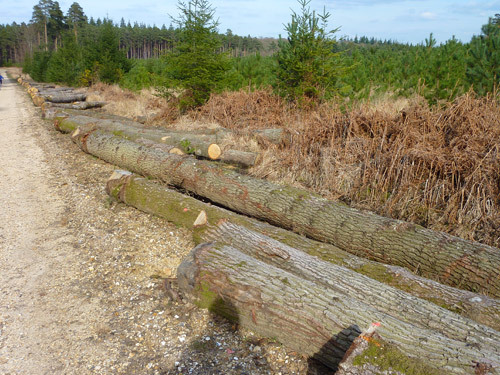 Sadly they really churn things up with the huge machines that they use to fell and process the trees. 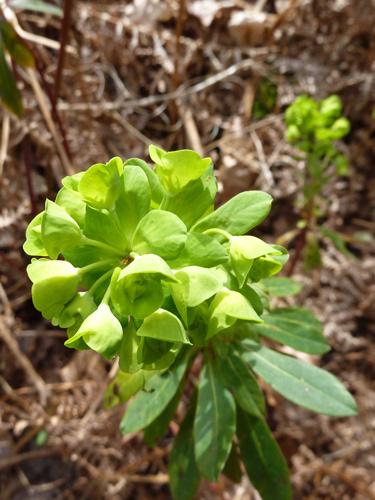 A bright new euphorbia or spurge to give it the common name. To me they’re Mars plants, they remind me of aliens ears! 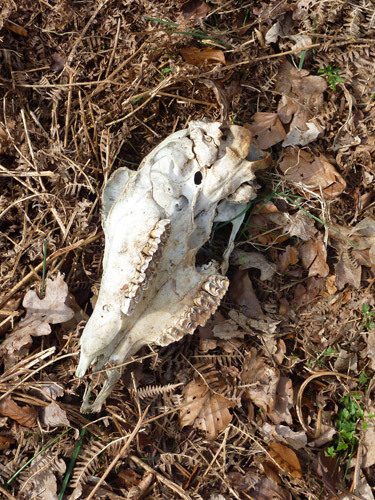 Near the first clue we find the skull of a deer. With the coordinates of the cache from the clue, we set off to find it. 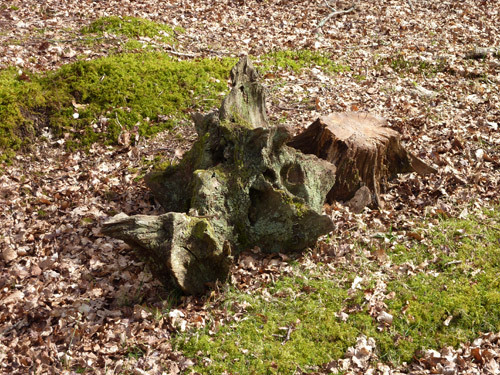 These ancient stumps catch my eye – natures sculptures. 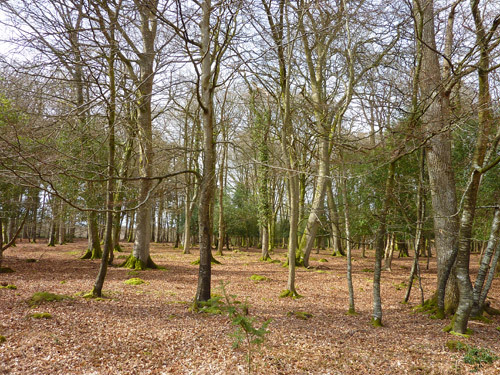 The lovely woodland at the top end of South Oakley Inclosure. Sadly, we seem to have got something wrong with the clue and the coordinates we’re using for the final cache site renders nothing. A little pressed for time, we decide to leave that Geocache for another day and set off to find another one located nearby. 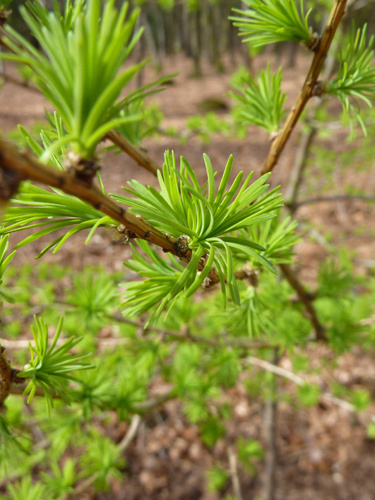 I spot this Larch with it’s new spring leaves, crying out for a macro shot. 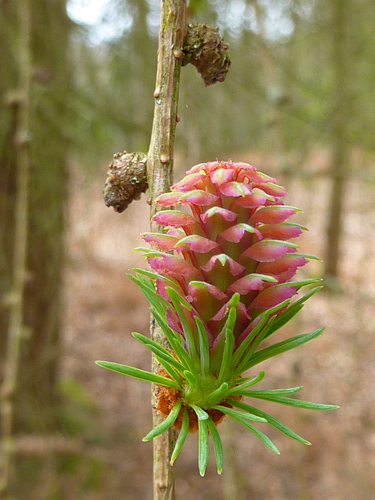 A friend of mine recently mentioned Larch flowers the other day, I’d never noticed them before, but here is a Larch flower – so pretty! 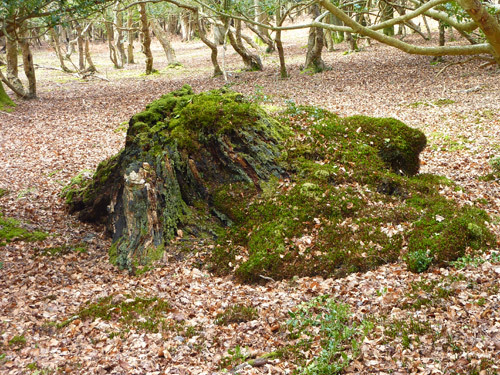 This woodland is full of these lovely ancient tree stumps that carry so much new life even though the original tree is long gone. 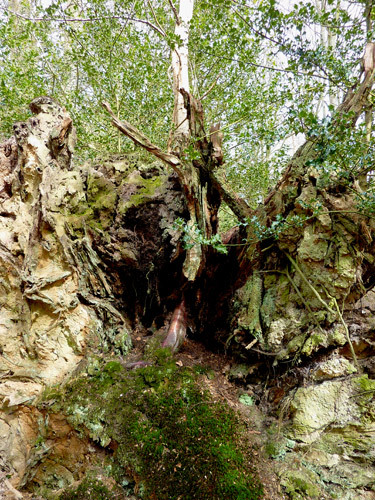 This really is new life on old, a birch tree has grown up right through the root ball of a huge old fallen oak. 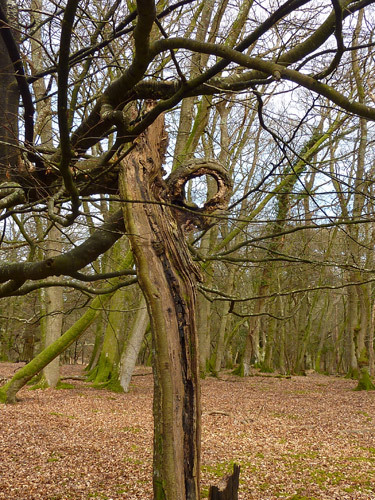 Near the cache site now, we see this old tree, much of the trunk has gone, but the wood that surrounded a branch leaving the trunk remains suspended like a huge monacle. 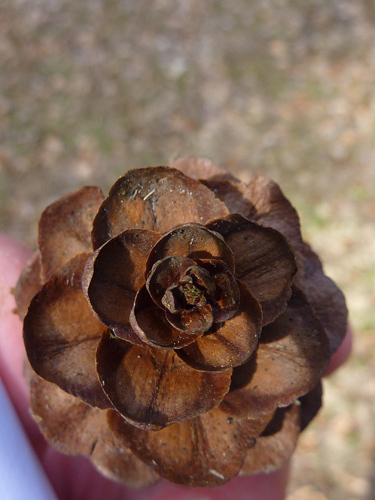 A very pretty pine cone. 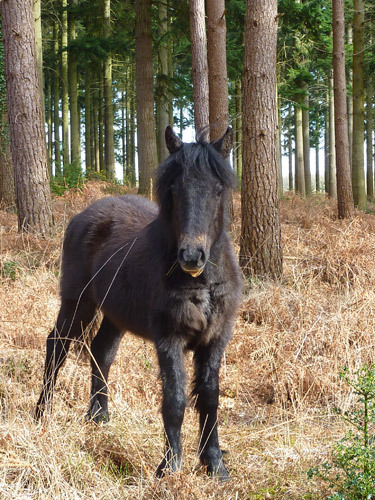 Another Geocache added to our hoard, we start back to the car and meet a rather inquisitive young pony. 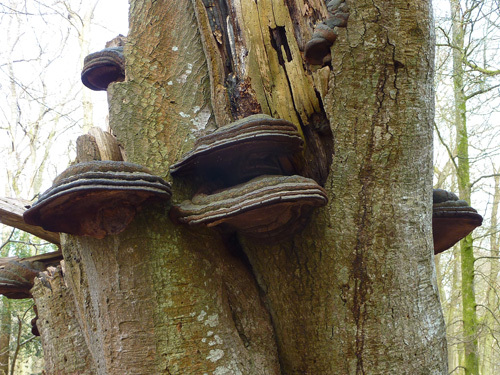 Some very impressive fungi on this old tree trunk. 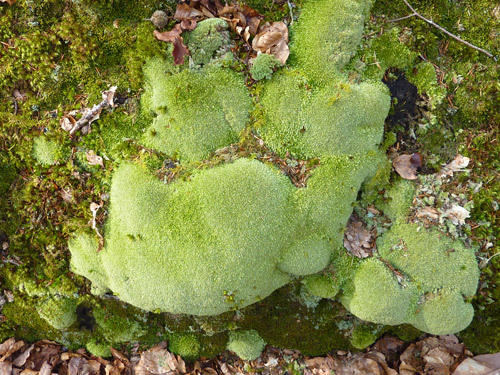 This very pretty pale green moss looks like velvet. 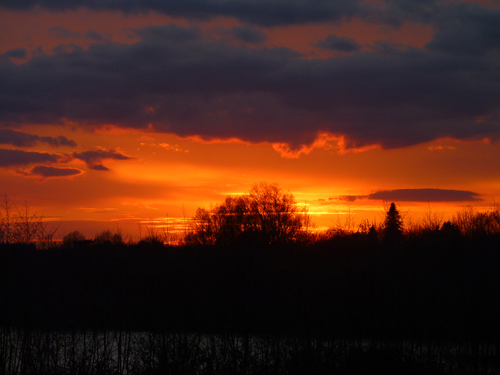 A final visit to Wishful to make sure all is well and the day is finished off with this quite spectacular sunset seen over Mockbeggar Lake. 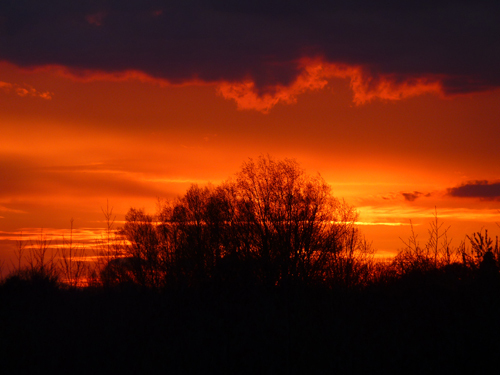 Zooming in on those wonderful colours.